Are you looking for dog names and meanings? Congratulations to your new dog! Now all that is left to do is picking a nice name. 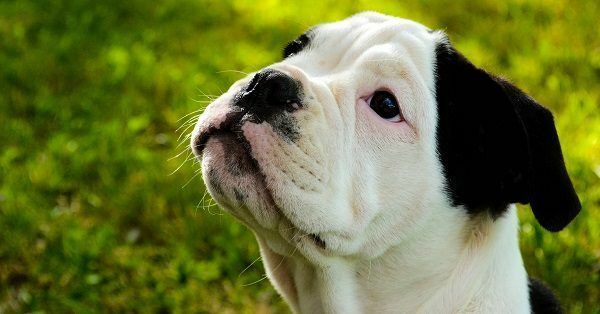 You already have an idea about the type of dog name you would like, so you are looking for a dog name with a meaning! There are so many different names of dogs with meaning to choose from. It can be quite nice to look for this type of dog name, but it is also quite a challenge because of the big choice you have. 123Tinki.com helps you with some handy guidelines and rules. Just take your time and do your research first to avoid being disappointed with your name choice. There are certain things to take into account and other things to avoid when you are looking for a dog name. And it is even more difficult when it is about a dog name that has meaning. Because then there are even more things to take into account and to avoid. You have to pick the name with the right meaning, but it also needs to be suitable as a dog name. What do dog names mean? To us humans, dog names are really meaningful. We take our time to pick a name and really put a lot of sweat and effort into it. There are countless books to buy or blogs on the internet to take a look at about the topic. We often choose names to signify how important the dog is to us. He is truly a member of the family, so he deserves a great name. But to the dog, his name does not mean the same. Dogs dog not have a concept of names, like humans have. To dogs, the name is only a command. It tells them to pay attention because something is about to happen. So for dogs it is important that the name is clear and has the typical characteristics of a dog name. Even though a dog does not care about the emotional thought behind the name, it is still nice for you. You will always be remembered how much you love him, and that can make difficult times, for example when the puppy goes through puberty, a lot more bearable. So you may pick a dog names that have meaning not only with the dog in mind, but also for your own benefit. So make sure to pick a good dog name with a meaning and choose one with a meaning that you hold dear and might help you through difficult times. There are many different dog names with a meaning, so you should definitely be able to find one that you like. There are dog names with strong meanings like dog names that mean fighter or dog names that mean protector. If you get a dog from the shelter or a dog that had to overcome obstacles in his life, there are also more personal and emotional meanings. For example, dog names that mean second chance or dog names that mean survivor. But of course, there are also dog names with a less serious meaning, a bit more light hearted. There are dog names that mean love and dog names that mean friend. These kind of name of dogs with meaning are perfect to show your bond with your dog. He will be your friend for life and you will show that with the right name. Once you start looking for a dog name with a meaning you will quickly recognize that there are countless dog names to choose from. The choice might even be too big for you, so it could be good to narrow down your choice with some extra search criteria. You could specifically look for male dog names that have meaning or female dog names with a meaning. This will reduce the dog names with a meaning to choose from by approximately half. The best way to do this is to use the dog name generator of 123Tinki.com. Just put the gender of your dog and ‘with a meaning’ as search criteria and you will get access to a list of names that all fit that description. You probably know the gender of your dog if you are looking for a dog name with a meaning. So this is an easy way to narrow down the choice. What do you need to take into account when it comes to dog names with a meaning? 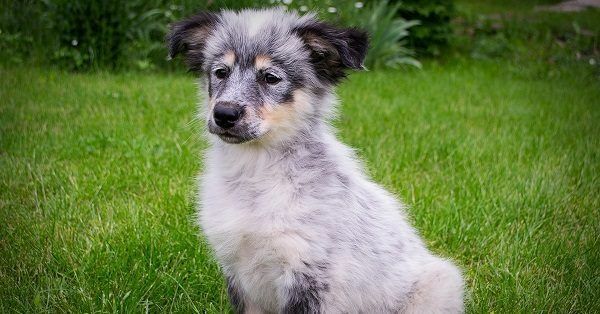 When you are looking for the best dog names with a meaning there are certain things you should take into account in order to make sure that it is a good dog name with a good meaning. First, make sure that the dog name with a meaning has the right length. It should not be too short or too long. The dog name with a meaning needs to have the right length so that it is easily recognizable. This does not only help the dog to quickly learn the name but it also helps him to recognize the name during training. So choosing the right dog name that means something can even facilitate your dog’s training. Dog names and their origin should not be too long. You might find a long dog name with a meaning that you really like, but really think about if it would make a good dog name with a meaning for you. They can be quite difficult to call and the dog has a harder time to recognize those long dog names with a meaning between all of the other words you say every day. But a name of dogs with a meaning should not be too short either. One syllable dog names with a meaning will quickly get stretched out in daily use and you end up calling your dog ‘Ed’ as “Eee-heed”. So while one syllable dog names with a name might be nice, they are not always the best choice. The perfect dog name has two syllables. This way it is long enough so that you can comfortably call the name while it is short enough for the dog to quickly learn the name and recognize it during training. The perfect dog name with a meaning is two syllables long. The next thing to take into account is the sound of the dog name. Dogs can hear certain sounds better than others and using those sounds in a dog name can make it easier for the dog. It would be good if a dog name that has meaning contains an s. This letters creates a distinct sound that dogs can hear very good. Strong sounds like the k-sound or t-sound are also good because it is easily recognizable for the dog. Sounds you should avoid for dog names with a meaning are soft sounds. These are harder for the dog to recognize, so they are less suitable for a dog name. It would also be good if a dog name with a meaning ends in an e-sound. It does not only sound cute, but those best dog names with meaning have a distinct sound. The og will be able to easily learn that name and recognize it during training. The next thing to take into account is that any dog name with a meaning needs to be a good fit. And this is where it can become difficult. The name needs to be a good fit for you but also for your dog and that means the dog’s appearance as well as his character. And the same is true for the meaning. Of course, you need to like it, but it also needs to be a good fit for the dog’s appearance and his character. The best way to find a fitting dog name is to do lots and lots of research. It might be a lot of work now, but your dog will keep his dog name that means something for the rest of his life. And that is another point you should take into account when you are looking for a dog name with a meaning; your dog will keep his name throughout his whole life. Especially if you are looking for a dog name and what it means for a puppy, this is something you should take into account. Do not only choose a name that would be a great fit now. Always pick a dog name with a meaning that will be a great fit throughout the puppy’s whole life. It needs to be suitable for a puppy, for an adult dog but also for a senior dog. Also make sure that you will not get fed up with the name. You will have to call the name and think about the meaning of the name for the next 12 to 15 years. So only settle on a dog name with a meaning if you are convinced that you will still like it many years from now.